Endocarditis is an inflammation of the endocardium or the heart’s inner lining. The inflammation is often caused by bacteria. When the inflammation is due to an infection, the condition is called infective endocarditis. Individuals with healthy hearts rarely develop endocarditis. While the side effects of endocarditis are not always severe, they can develop gradually. During the early stages of infection, the side effects may seem similar to other illnesses. This is one reason why many cases of endocarditis remain undiagnosed. Several side effects of endocarditis are similar to those for the flu or other infections, like pneumonia. In some cases, individuals may experience side effects that manifest unexpectedly. These side effects can be caused by inflammation or the associated damage it causes. Tender purpler or red spots below the skin of the fingers or toes. Tiny purple or red spots from blood cells that leak from ruptured capillary vessels. These may appear on the whites of the eyes, inside the cheeks, on the roof of the mouth, or on the chest. 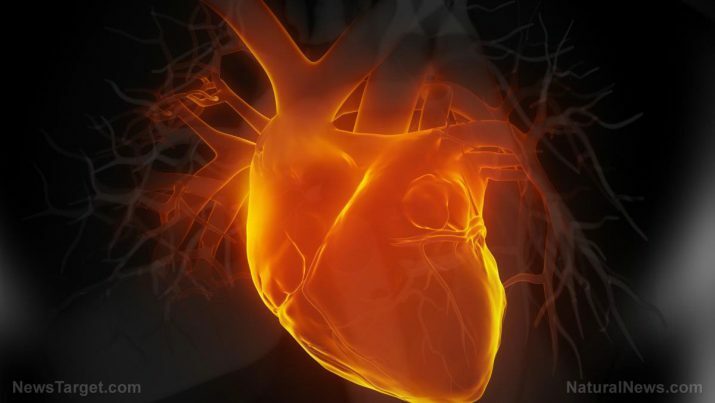 Damaged heart valves that may increase the risk of heart failure. If heart rhythms are affected, individuals may experience arrhythmia (irregular heartbeat). Infection can spread within the heart and to other organs (e.g. the kidneys, lungs, and brain). If vegetation breaks off, it can travel through the bloodstream to other parts of the body. Once stuck, vegetation can cause infections and abscesses. Vegetation can also reach the brain and get stuck there, causing stroke or blindness. Additionally, a large fragment of vegetation can get stuck in an artery and block blood flow. Alpha-lipoic acid — For antioxidant support. Coenzyme Q10 (CoQ10) — For heart protection. L-arginine — For blood vessel and immune support. L-theanine — For stress and nervous system support. Lycopene — An antioxidant, lycopene can also lower blood pressure. Probiotic supplement (with Lactobacillus acidophilus) — Can help maintain gastrointestinal and immune health. Magnesium citrate — For heart health. Omega-3 fatty acids — Can help minimize inflammation and boost immunity. Resveratrol (from red wine) — Can help decrease inflammation, resveratrol also has antioxidant effects. Vitamin C — An antioxidant and immune booster. Garlic (Allium sativum) — For heart health. Reishi/lingzhi mushrooms (Ganoderma lucidum) — For blood pressure support. Treatment for endocarditis includes antibiotics and surgery. Endocarditis caused by bacteria will be treated with intravenous antibiotic therapy. Patients will be advised to take antibiotics until both the infection and inflammation are addressed. The drugs may be administered in a hospital until the patient’s condition improves. Antibiotic therapy may continue once a patient is discharged from the hospital. An individual may transition to oral antibiotics later in the treatment. Antibiotic therapy may last for as long as six weeks. Surgery may be necessary to correct damaged heart valves in patients with prolonged infective endocarditis. The procedure may be needed to remove dead tissue, scar tissue, fluid buildup, or debris from infected tissue. Surgery can help repair or remove the damaged heart valve and replace it with either man-made material or animal tissue. The common side effects of endocarditis include appetite loss, cough or shortness of breath, and fever or chills. When endocarditis is left untreated or if treatment is postponed, patients may experience complications. These may include damaged heart valves (which may increase the risk of heart failure), arrhythmia, and infection (which can spread within the heart and to other organs like the kidneys, lungs, and brain). Adding the following nutrients to your diet can help prevent endocarditis: lycopene, omega-3 fatty acids, vitamin C, garlic, and reishi/lingzhi mushrooms.